You are browsing the archive for 2019 January 30. Snow weighed down the fronds of palm trees of Fort Myers, . Nearly three feet of snow fell in Cape May, New Jersey, while 19 inches fell in Philadelphia and 16 in New York City and Boston. In Brooklyn, the bitter temperatures and 36 consecutive hours of snow left mail carriers so frostbitten that the postal service restricted delivery to just one round a day. No amount of snow, though, could keep the Mardi Gras revelers in New Orleans from making their appointed rounds. The day after temperatures hit an all-time low of 7 degrees and as ice flowed down the Mississippi River into the Gulf of Mexico, the traditional carnival and Rex parade went on as scheduled through the streets of New Orleans. Valentine’s Day saw the last of the bitter cold, and hearts began to warm along with the temperatures. Days after experiencing record cold, Washington, D.C., saw temperatures hit 61 degrees—a 77-degree swing. By February 22, the three-foot snow pack in the nation’s capital had melted to mere traces. A surface temperature map from February 1899 outlining the maximum (solid black lines), minimum (dashed black lines), and average (solid red lines) temperatures across the contiguous United States. 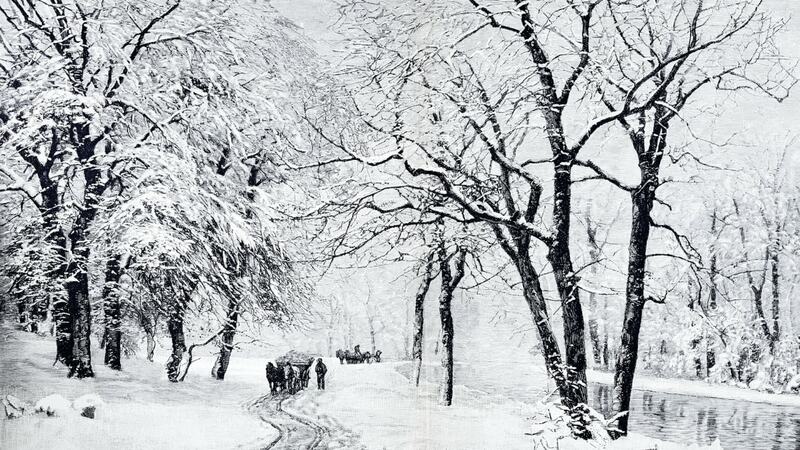 Even with the warmer temperatures that came in the latter half of the month, February 1899 remains the second-coldest February ever recorded in the United States—behind only 1936. The geographic range of the icy temperatures, however, remains historic. The Great Arctic Outbreak caused millions of dollars of damage to crops and cooled the economy as barge traffic stalled on the Mississippi River and Great Lakes. Fish and game birds died in large numbers as did livestock that froze to death. There was a human toll as well. The U.S. Weather Bureau reported that between January 29 and February 13, 105 Americans died from avalanches and the freezing temperatures brought on by the Great Arctic Outbreak. On July 20, 1969, two American astronauts landed on the moon and became the first humans to walk on the lunar surface. The event marked the culmination of a nearly decade-long intense push to meet a challenge posed by President John F. Kennedy. On July 20, 1969, American astronauts Neil Armstrong (1930-2012) and Edwin “Buzz” Aldrin (1930-) became the first humans ever to land on the moon. 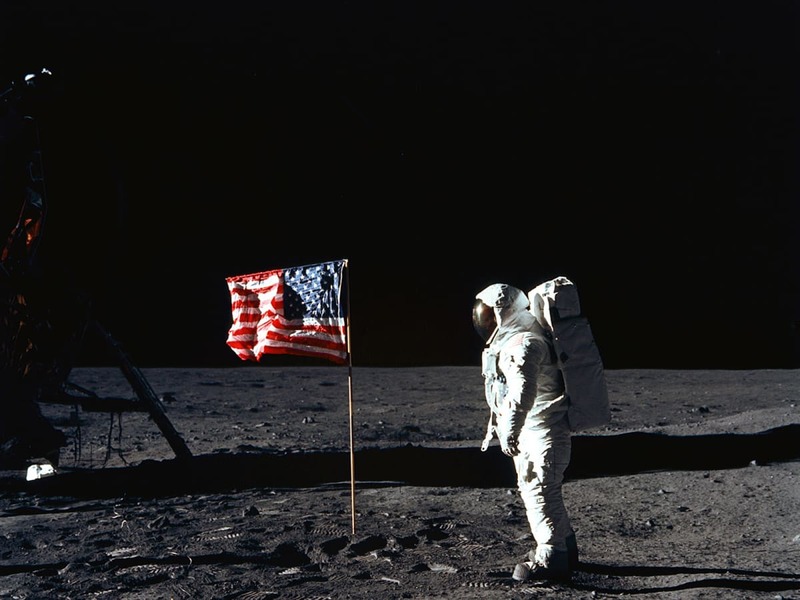 About six-and-a-half hours later, Armstrong became the first person to walk on the moon. As he set took his first step, Armstrong famously said, “That’s one small step for man, one giant leap for mankind.” The Apollo 11 mission occurred eight years after President John F. Kennedy (1917-63) announced a national goal of landing a man on the moon by the end of the 1960s. Apollo 17, the final manned moon mission, took place in 1972. At the time, the United States was still trailing the Soviet Union in space developments, and Cold War-era America welcomed Kennedy’s bold proposal.In 1966, after five years of work by an international team of scientists and engineers, the National Aeronautics and Space Administration (NASA) conducted the first unmanned Apollo mission, testing the structural integrity of the proposed launch vehicle and spacecraft combination. Then, on January 27, 1967, tragedy struck at Kennedy Space Center in Cape Canaveral, Florida, when a fire broke out during a manned launch-pad test of the Apollo spacecraft and Saturn rocket. Three astronauts were killed in the fire. Despite the setback, NASA and its thousands of employees forged ahead, and in October 1968 Apollo 7, the first manned Apollo mission, orbited Earth and successfully tested many of the sophisticated systems needed to conduct a moon journey and landing. These military leaders, rebels, politicians and writers varied in personality, status and background, but all played a part in forming a new nation and hammering out the framework for the young democracy. Without them, there would have been no United States of America. The Founding Fathers, a group of predominantly wealthy plantation owners and businessmen, united 13 disparate colonies, fought for independence from Britain and penned a series of influential governing documents that steer the country to this day. All the Founding Fathers, including the first four U.S. presidents, at one point considered themselves British subjects. But they revolted against the restrictive rule of King George III—outlining their grievances in the Declaration of Independence, a powerful (albeit incomplete) call for freedom and equality—and won a stunning military victory over what was then the world’s preeminent superpower. The Founders proved equally adept later on in peacetime. When the federal government tottered under the Articles of Confederation, prominent citizens met anew to hammer out the U.S. Constitution, overcoming major areas of disagreement between large and small states and Southern and Northern ones to form a stable political system. Showing foresight, they included a Bill of Rights, which enshrined many civil liberties into law and provided a blueprint for other emerging democracies. Before he fought against the British, George Washington fought for the British, serving as a commander in the French and Indian War. 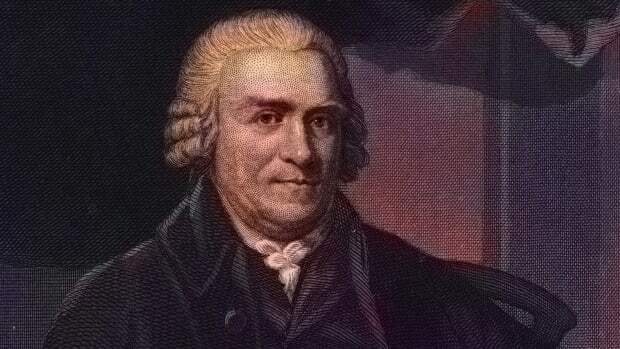 A prosperous Virginia farmer who owned hundreds of slaves, he came to resent the various taxes and restrictions being imposed on the colonies by the British crown. After almost a decade of painstaking work, conservators in Egypt have revealed the newly revamped tomb of Tutankhamen, better known as King Tut. In addition to cleaning and restoring the paintings that adorn the walls of the tomb, the combined efforts of the Getty Conservation Institute and the Egyptian Ministry of Antiquities focused on combating the wear and tear sustained through decades of tourist activity, and protecting it from further decay and deterioration. The 12th pharaoh of the 18th Egyptian dynasty, Tutankhamen (or Tutankhamun) became king of Egypt when he was only nine years old. He ruled for less than a decade, from approximately 1332 to 1323 B.C., before dying mysteriously at the age of 19. Experts now believe he contracted gangrene from an infected leg wound. Despite his short reign, King Tut has become the most famous of all Egypt’s pharaohs thanks to the splendour of his tomb, which was first discovered in 1922 by the British archaeologist Howard Carter. The entrance to the tomb, located in the famous Valley of the Kings, had been concealed by debris, and remained hidden for 3,000 years after the pharaoh’s death. Conservation work being conducted on the wall paintings of King Tut’s burial chamber in spring 2016. 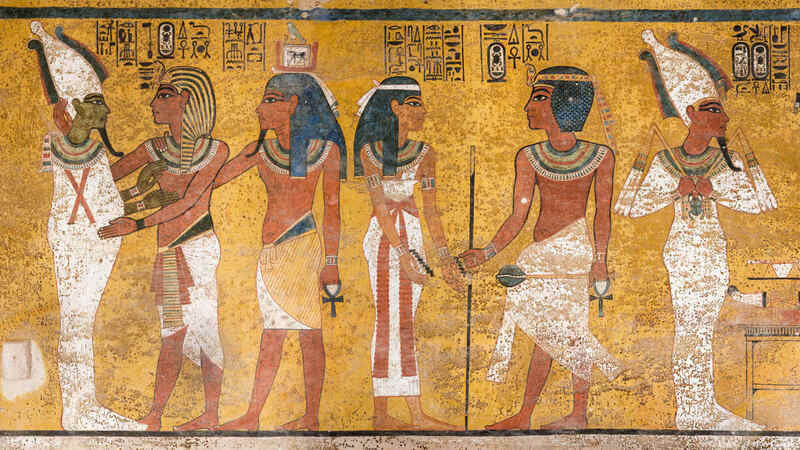 When Carter and his fellow archaeologist, George Herbert, Lord Carnarvon, entered, they found the tomb and its contents largely intact, including marvelous paintings, grave goods such as jewelry, statues, oils and perfumes and three coffins nestled inside each other, with the innermost gold coffin containing King Tut’s mummy. King Tut’s tomb quickly became one of Egypt’s top tourist attractions, welcoming as many as 4,000 tourists a day by the late 1980s. By that time, experts had grown concerned about the effects of such heavy tourism on the burial chamber. In addition to carrying in dust from their clothing and shoes, some visitors even scratched graffiti on the tomb’s surfaces. Meanwhile, the flood of humid air and carbon dioxide into what had been a closed space for thousands of years had caused a large amount of what looked like microbiological or fungal growth, in the form of mysterious brown spots spreading across the walls. of no serious security interest to America. reason to go to war, however. Throughout both the Cold War and the post-Cold War eras, U.S.
Iran, Guatemala, Chile, and elsewhere. genocidal war in Yemen and other outrages. clerical government clearly aims to achieve the same result.